Award-winning innovative workshops helping you deliver the curriculum through outdoor learning in parks and gardens close to your school. Most sessions can be booked all year around across the seasons. All workshops can be adapted for small groups of children with SEN. Cost: £150 per two-hour session (maximum 30 pupils) or £250 for two sessions in one day or one full day. Book 10+ two-hour sessions for a reduced rate. A brilliant way to introduce plants and growing. Identify the parts of a plant, with flower hunts, root digging and seed discovery. 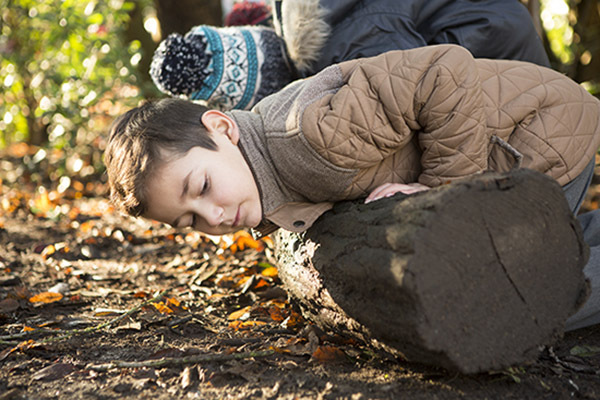 Identify, observe and record findings in a mini beast hunt and pond dipping discovery. We uncover animal habitats and look at the park seasonally.